For Dave Arnce, owner of The Shop Beer Co. in Tempe, Arizona, the past year has been a journey from coffee to craft beer. “No one would be in craft beer if they didn’t daydream more than the average person,” he mused. Arnce is a guy who likes to wander and keep an open mind. He graduated in 2005 with a degree in Human Nutrition with an emphasis on nutritional biochem and went on to work for a California-based development company. When the real estate market bottomed out in the 2008 recession, he moved back to Phoenix with his wife to renovate houses — which he really liked doing. “It’s really satisfying to take a junker house and turn it into something beautiful that has value to someone else,” he said. When a friend mentioned his coffee shop business was struggling, Arnce thought with his real estate and financing experience he might be able to help. The coffee venture improved so fast, that four months later he and one of the coffee shop employees were brewing beer in the back of one of their four coffee shops. 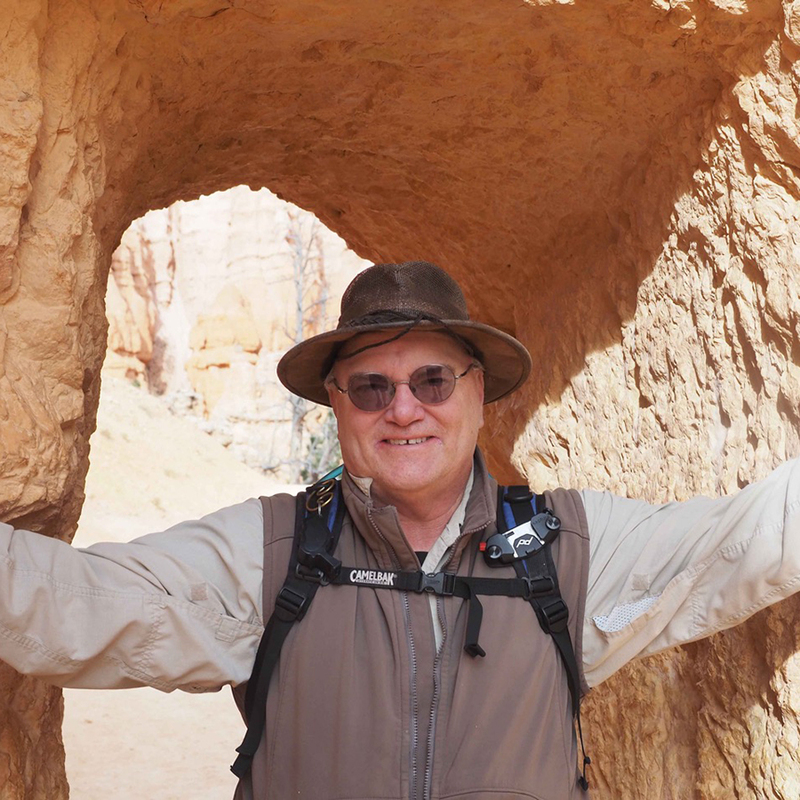 It turns out that when he was studying nutrition and biochem at Arizona State University, one of his professors made a passing comment about the relationship between sugars and fermentation — “like making beer!” the professor proclaimed. Matt Johnson, head brewer (left), and David Arnce, owner/brewery manager (right) in the new 20 BB brewery. After making three batches of beer a day for five days over 18 months, he and his friend Matt Johnson — who is now the head brewer at The Shop Beer Co. — are opening the third craft brewery in Tempe. They exchanged their small barrel system for a mammoth 20-barrel system. Best of all, to listen to Arnce tell it, they have restored a historic 64-year-old house as a taproom, with a commercial building in the back lot for the brew room. It turns out his time and sweat, learning the demolition and development trade, was all in support of his own dream. Another factor in their growth was that the legislators in Arizona last year finally fixed a series of antiquated beer laws that had kept a small cap on the amount of beer craft brewers could make. 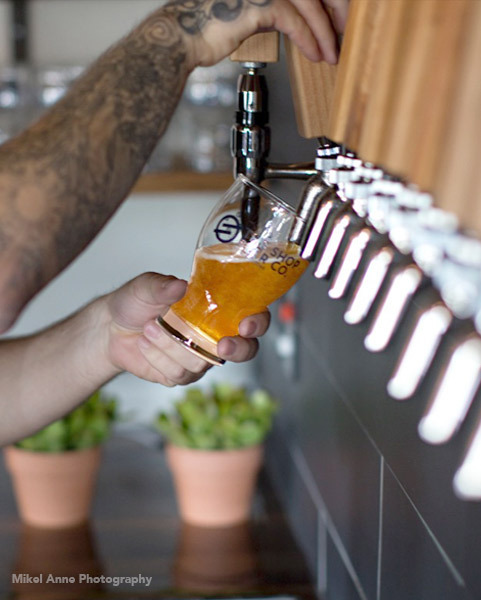 With that change, Arnce said the horizon for craft beer in Arizona got a lot wider. He and his head brewer see an endless vista for new beer styles. “Our customers are really supportive and accepting, but they expect us to try new things,” he said. Even with their experimentations — which included a “Will of the People” coffee, pomegranate Belgian quad brewed in collaboration with Stone Brewing to commemorate the new state beer laws — they handle the basic really well too. Their double IPA (F.Y.I.T.M. pronounced “fight-em”) is not only remarkably smooth, but also imparts the mellow attitude adjustment power of ten percent alcohol. While their new taproom, which opened in late August, is intended to provide a comfortable, friendly place for their regulars and friends to hang out, their business plan for the foreseeable future is to produce kegs for restaurants and bars. Right now, they are selling everything they can make.